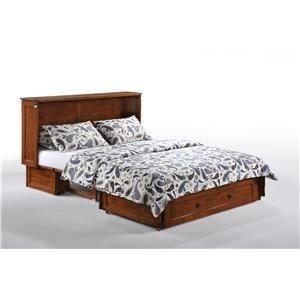 Create a bedroom oasis that emanates the soothing rhythm of ocean waves with this bed. 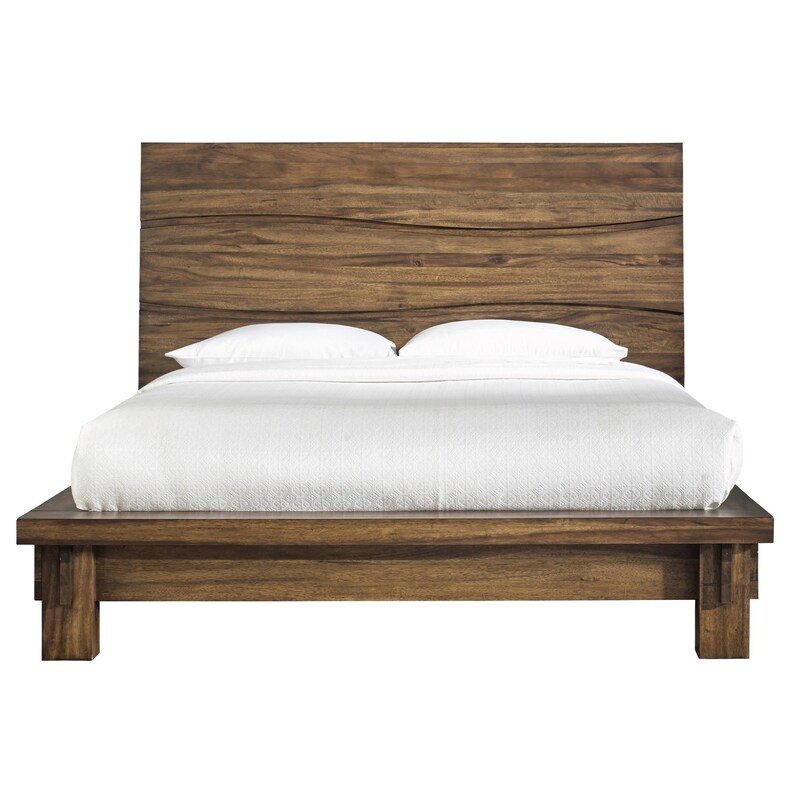 The bed is crafted from Sengon Tekik wood, which highlights a natural grain and light tone reminiscent of driftwood. Distinct wave patterns decorate the canted headboard, while a wide platform frame keeps the look simple and modern. 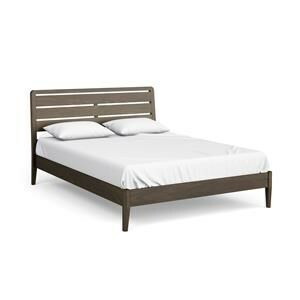 The Ocean Queen Bed by Modus International at HomeWorld Furniture in the Hawaii, Oahu, Hilo, Kona, Maui area. Product availability may vary. Contact us for the most current availability on this product. Drawer / Shelf Construction Sanded and stained drawer interiors with English dovetail joinery. Drawer Suspension Full-extension ball-bearing drawer glides. Case Construction Solid Sengon Tekik wood. 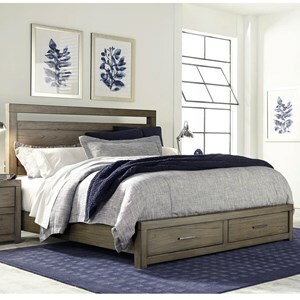 Capture breezy beach-chic style with the Ocaean bedroom, dining, and living room collection. Clean lines mixed with distinctive wave drawer front designs create a fresh, contemporary look. The Sengon Tekik wood looks natural and rustic with a vibrant grain pattern. Features like removable felt lining in top drawers and full-extension drawer glides add modern function to go along with the laid-back contemporary style. The Ocean collection is a great option if you are looking for Contemporary Coastal furniture in the Hawaii, Oahu, Hilo, Kona, Maui area. 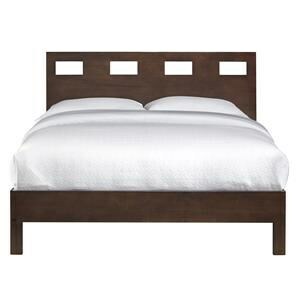 Browse other items in the Ocean collection from HomeWorld Furniture in the Hawaii, Oahu, Hilo, Kona, Maui area.